Having spent the better part of the last 20 years in health care, the only constant has been change … slow change in many respects. However, the last 5-10 years marked a period of rapid change with massive legislative reforms: from the creation of the ONC, implementation of the MU mandate and explosion of the marketplace from ACA, to the replacement of the SGR with MACRA. Many of my colleagues have argued it’s been way too much, way too fast. We all agreed that change was needed, but none of us rarely agreed on exactly the best path to achieve the triple aim. Depending on your perspective, and often political persuasion, we are either on a collision course, or on the path of redemption to stave off volume and induce value from our health care delivery system. However, many agree that technological innovations will continue to propel our industry towards this elusive goal to squeeze value from our health care delivery system. It has been my experience that trust is the fundamental ingredient needed to make change happen at scale. Although we have achieved rapid deployment of health care data digitization, we know that the information coming from our systems is suspect. As a result, we have lost the trust of key stakeholders necessary to make the shift from volume to value. Providers need to trust their data and patients need to trust their providers. Trust is critical when change is needed. As we continue to make the shift to a value-based health care system, the veracity of the information provided from the proliferation of electronic data will become even more important; as we seek to measure the value we’re getting from all of these reform efforts. In this spirit, NCQA applauds the latest CMS request for information regarding the direction they should head with respects to infusing veracity into the electronic quality measurement reporting framework of the future. Based on our 25 years of experience in collecting quality measures, we are pleased to provide our comments to CMS’s request for information (CMS-3323-NC). As NCQA’s Chief Information Officer, Rick Moore is responsible for the vision and strategic direction of the Information Services, Information Technology and Information Products. 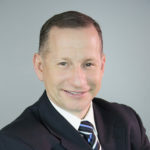 He also works closely with NCQA’s stakeholder partners and represents NCQA on leading several national health information technology initiatives and panels including the Health Information Technology Standards Panel (HITSP), the National Quality Forum (NQF) Health Information Technology Expert Panel (HITEP), the Markle Foundation’s Steering Committee on Connecting for Health, and the American Medical Association (AMA) and NCQA Collaborative for Improving Quality Measurement in Electronic Health Records.